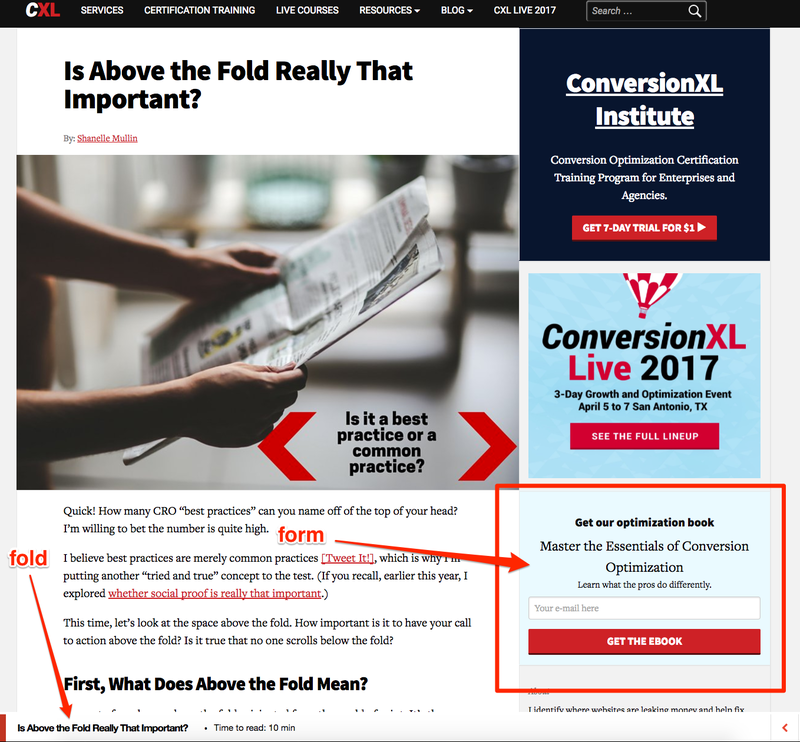 There’s an ongoing debate about whether placing various page elements above the fold affects their performance. And true, when it comes to calls to action, like buttons, for instance, the research tends to confirm that placement doesn’t matter. However, the situation changes when you’re trying to boost email form completions. Then, showing it to a visitor when they’re the most engaged with your content is beyond crucial. They assume that anything placed on top of the page (or above the fold) gets immediate attention. But many people begin scrolling right away. 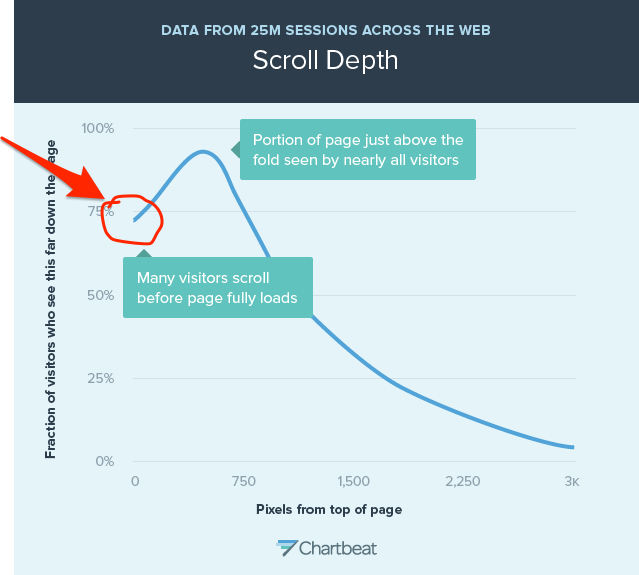 Chartbeat discovered that only 70% of visitors see the top of the page. However, nearly all of them see the area close to the fold! These findings suggest that placing the most important elements close to the fold will actually improve their visibility and performance! In other words, it falls around the fold! So, as the first tweak, consider moving or placing your form closer to the fold – the bottom part of the screen, visible without scrolling. Unless your visitors feel secure about submitting sensitive information on your site, well, they simply won’t do it. Just the sheer anxiety of a possibility of being bombarded with unrelated marketing emails is enough to deter anyone from signing up. 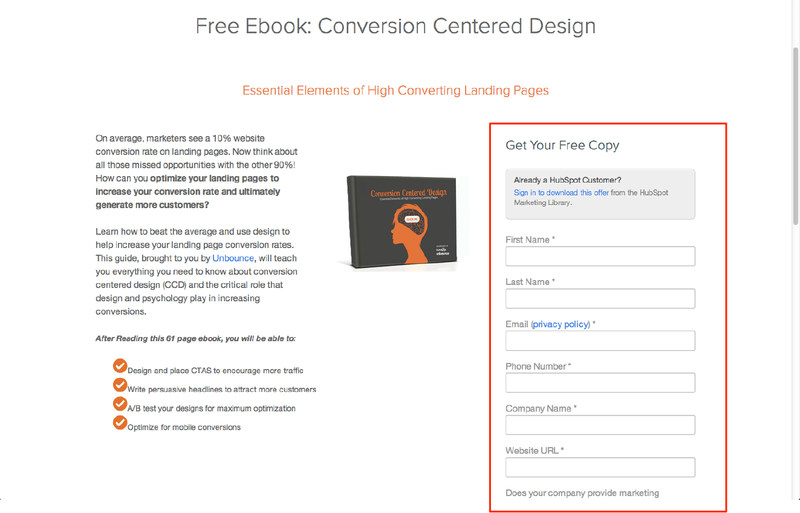 And so, you need to convince your visitors that they can trust you. You don’t have to create anything lengthy. As it turns out, adding even a single sentence policy could increase conversions up to nearly 20% (as in the case of Betting Experts). If your form collects only a small amount of information, an email, and name, for instance, then you don’t have to worry about its layout. But when you create lead capture forms that also help pre-qualify leads, then HOW your form looks becomes as important as WHERE you place it. Most of us hate filling in anything long. But let me make this clear – there’s nothing wrong with that landing page. It’s just its length might cause friction among visitors. But what if you need to include all those fields in a form? The solution is actually quite simple – make it to visually seem shorter. Place relevant form fields beside each other. See the difference? It’s an equally long form. But by placing fields in rows, Hubspot manages to make it seem much shorter. Even if you need to ask for all the information on a form, it doesn’t mean that prospects couldn’t complete it without providing only some of it. And allowing them to choose which fields to fill in and what information to skip will most likely make the form much simpler to complete. I admit, it wouldn’t be my favorite approach to solving this problem. However, it’s an option you could consider, and so, I include it here. When creating a long form, you could consider breaking it into two separate sections, with only the current one visible on a screen. 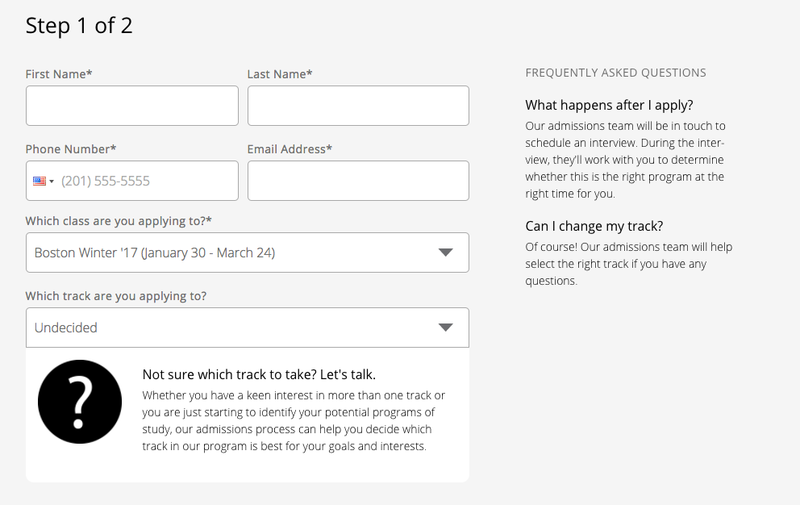 Of course, the fact that there are more than one form screens to fill in might deter a person from continuing. But at least, at first glance, the form will seem shorter. “We humans are pack animals. Sure, you might think that you’re an individual creature but deep within you’re as influenced by other people around you, their opinions, choices, actions as anybody else. I admit, these words might sound harsh. But unfortunately, they’re also so true. One thing that comes out of these experiments is that we typically assume that if many people are doing or have done something, then there must be a good reason for that. And so, we choose to imitate their actions. 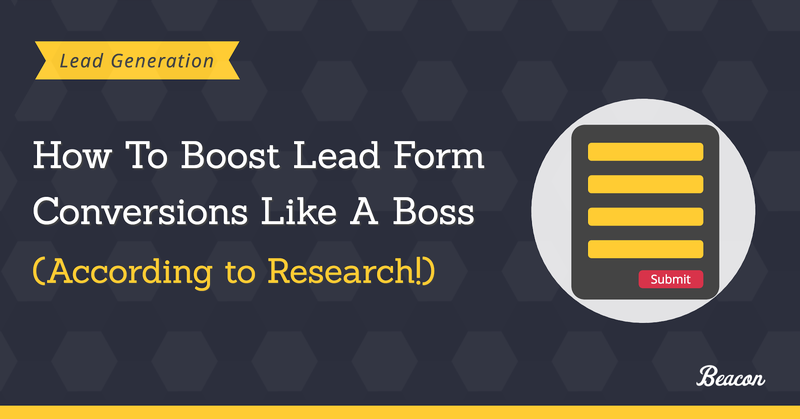 Now, my purpose of writing this isn’t to scare you but highlight an important aspect of making your lead capture forms more effective – the need for proof that others have already believed in what you do. 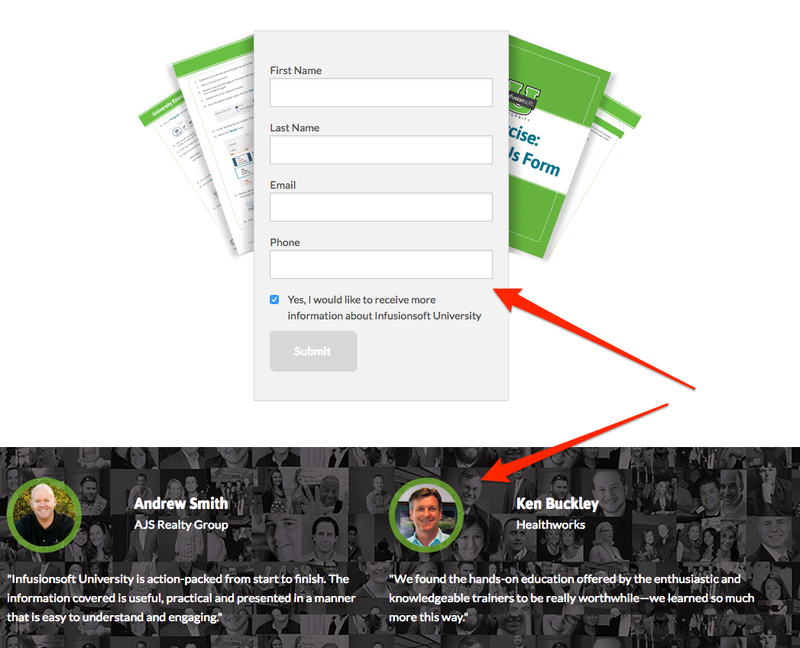 Include any social proof somewhere close to the form so that anyone considering signing up will see it. Place testimonials in a proximity of the form. You don’t have to make them a part of the actual form. However, a visitor should be able to see them while reviewing the form. Include actual stats, like a number of subscribers on your list on the actual form. 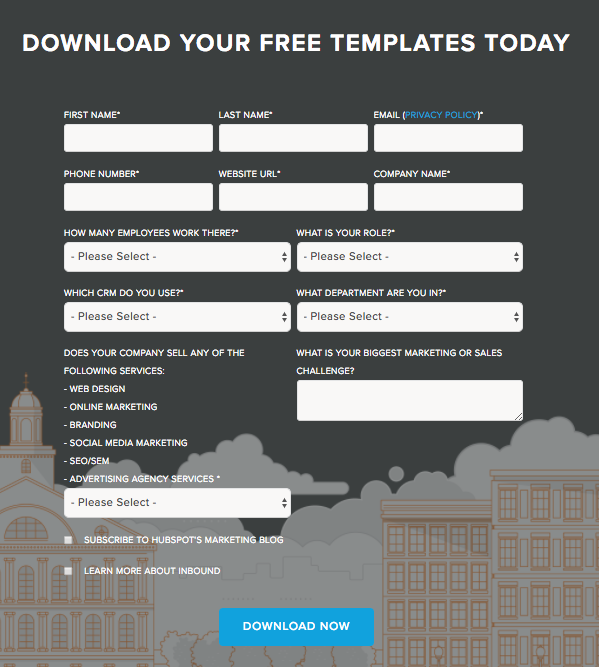 Using Lead Magnets to Generate Leads for Your Business? Click here to learn how Beacon could help you create and launch them in minutes.